Taylor's eye vectis, metal, c 1906-c 1920s. 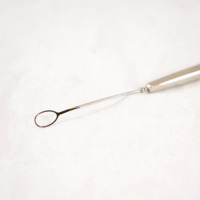 An eye vectis is an ophthalmic instrument used during cataract surgery. The wire loop at the end of the instrument would extract any cataract material from the lens of the patient. 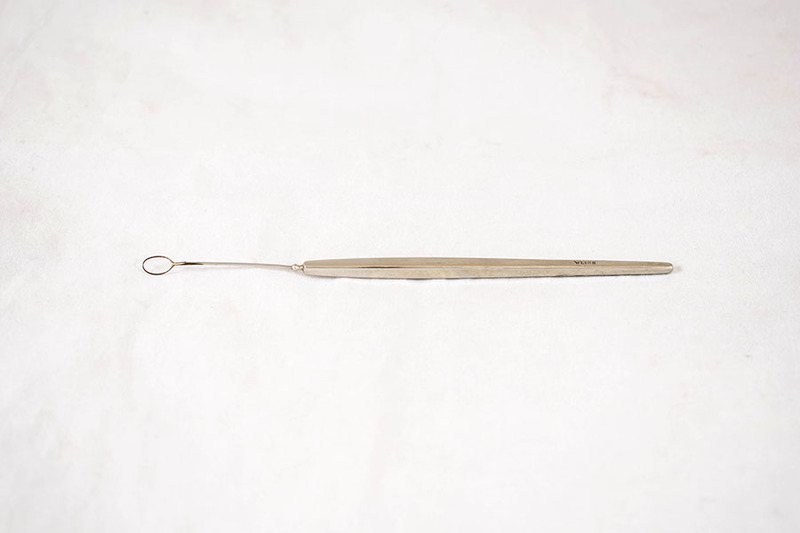 John Weiss & Son, Ltd.; 1787-; Surgical instrument makers, “Taylor's Eye Vectis,” Heritage, accessed April 24, 2019, https://heritage.rcpsg.ac.uk/items/show/175. Description: Taylor's eye vectis, metal, c 1906-c 1920s. 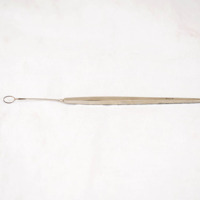 An eye vectis is an ophthalmic instrument used during cataract surgery. 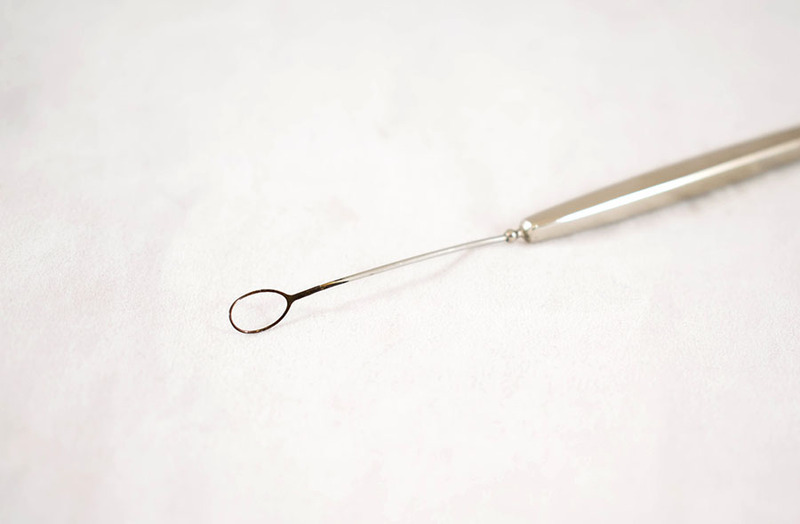 The wire loop at the end of the instrument would extract any cataract material from the lens of the patient.